This feature is part 1 of a 2-part series. Enjoy and check back soon for our second installment of Spirited Women. Women in the spirits industry are breaking new ground becoming distillery/brand owners and hands-on crafters. Working in a male-heavy industry, these ladies are paving the way for women to earn their rightful place as respected distillers as they forge their path with an uncompromised passion and an unwavering commitment for spirits. 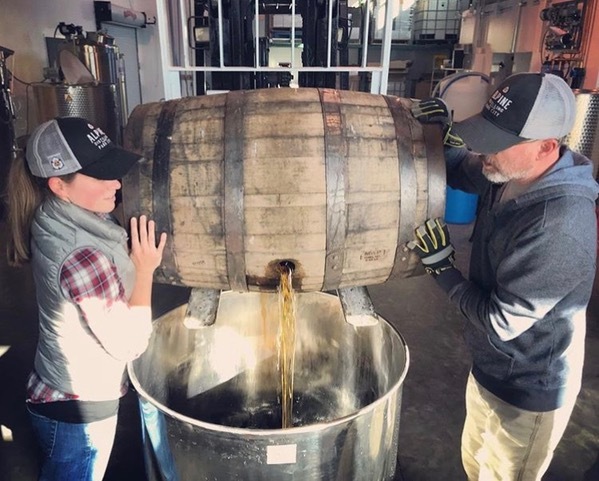 Sara Sergent and her husband Rob co-founded Alpine Distilling in 2016, which is built on two natural aquifers in Park City, Utah so that no matter the season, they are able to pull fresh, pure Utah water for cutting their spirits. The Sergent’s distillery has produced two whiskeys and two liqueurs that earned them four SIP Awards in 2018, including a Double Gold medal for their gin which is personally crafted by Sergent herself. “I’m happy to say that we were awarded Double Gold for our gin at this year’s SIP Awards, which we value very highly,” she said. Sara Sergent with her husband and #1 supporter, Rob. Sergent wanted her vision to have a deeper meaning for her family and her passion for distilling. Female representation in the spirits competition industry matters to many women, which is why SIP Awards has recruited consumer-judges at nearly a 50 percent ratio year after year. In comparison, the San Francisco World Spirits Competition was represented by 40 male judges and only eight female judges in 2018. Sergent is aware of the difficulties that surround women in the spirits industry revealing that most people are surprised when she identifies herself as a distiller and a co-founder of a distillery. 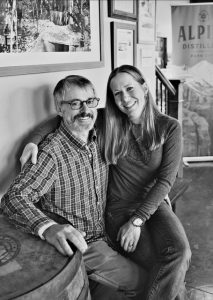 Over the years, Sergent has had the privilege of meeting other female distillers and has felt a strong comradery within these peers, adding that her husband has been the greatest supporter of her efforts.